click on your Project's Export Button. 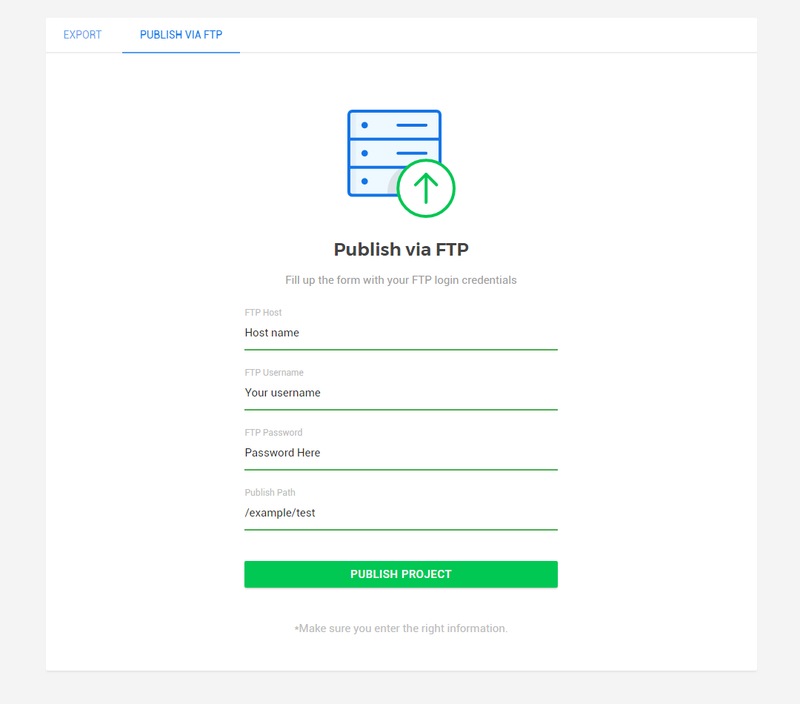 Choose Publish via FTP tab. Fill up the form with your FTP login credentials.